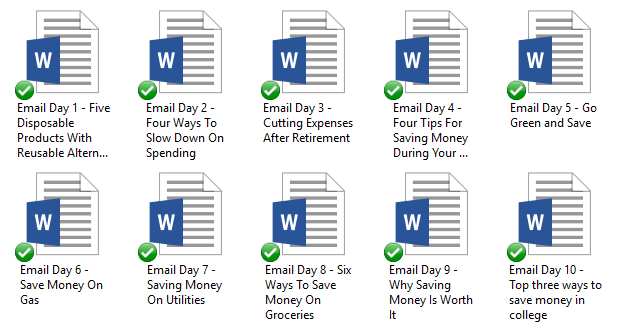 In this Pre-Written Saving Money bundle – a report, articles, and an eCourse, you’ll be able to teach your audience on a variety of different topics about saving and budgeting their money. This should be a topic that is taught in school because it is so important. When kid’s start college or move out of their parent’s house – they usually start wracking up the credit because they don’t know how to save for their future or budget their money. The Saving Money Content Bundle will help you bring in a traffic and readers to your blog because you’ll be talking about topics that people are searching for – like making goals, saving money on groceries and having fun within a budget. People who want to start budgeting and saving money are all in different stages of their journey and they are researching different ways they can incorporate it into their life. This is where you’ll come in with the topics that will answer the questions that they have. They need a site that will talk about a variety of topics – so that they can figure out what is best for them, how to start and get past the overwhelm of a living within a budget. 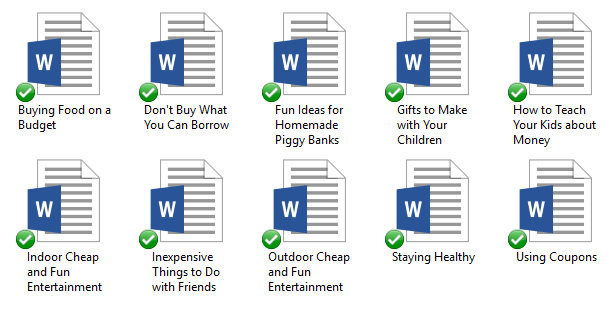 The Pre-Written Save Money Report, eCourse & Article Content will help you teach your audience about important topics whether they are in the beginning stages of planning for retirement or creating a budget that they desperately need because of the wide range of topics in this bundle. You’ll get a 12-Page report on ways to start saving money. This is a great opt-in because it talks about what it is, reasons your community should start saving money and creating goals to get it done. This report is going to help you grow your subscriber list. In this section, you’ll get 10 done for you articles on budgeting your money. You can use these in your email autoresponder, in your social media marketing or load them up on your blog. 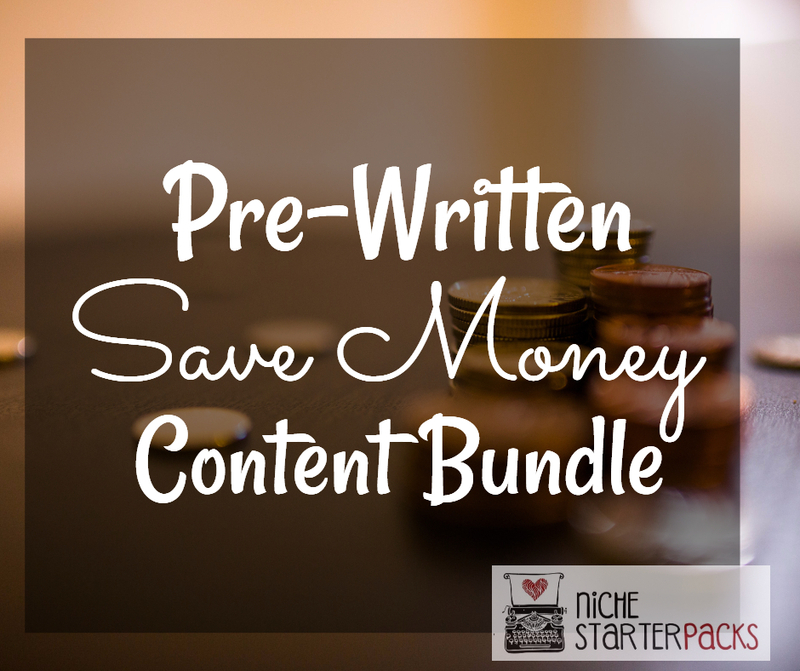 Take advantage of this Pre-Written Save Money Content Bundle for this price because this is only going to last a few days. This bundle will help you increase subscribers and educate your readers about creating a budget and sticking to it. Please note – this is PLR that I have bought a special license to sell. But rest assured It is high-quality content. I provide it because I want to make sure my customers get the opportunity to purchase what they need, when they need it. Make sure you don’t own this already. I will always let you know if a pack is under special license or not.